There are components in every blood cell that help a person heal. The concept of using the growth factors in a patient's own blood has been applied in several aspects of medicine to improve care and see faster recoveries. At Refine Medical Spa in Southlake, TX, the growth factors in platelet-rich plasma (PRP) can be used for hair restoration in patients who are beginning to notice they have less or thinner hair. This nonsurgical treatment for the scalp with PRP is designed to stimulate hair follicles so they move from the dormant phase to active growing. Over time, patients can see thicker, fuller hair without surgical intervention. Schedule a consultation at Refine Medical Spa to learn more about nonsurgical PRP hair restoration. The best patients for PRP hair restoration will have mild to moderate hair thinning or loss that they want to improve without hair transplant surgery. Patients may have tried hair re-growth shampoos, conditions, and treatments from stores with limited or no success. 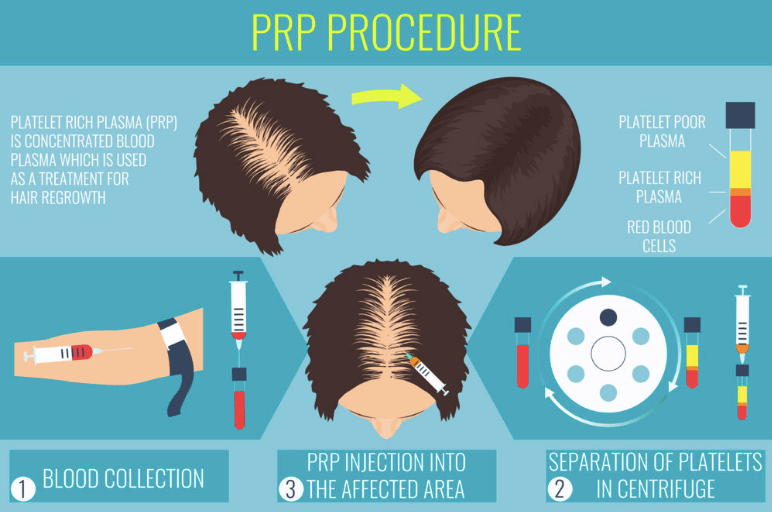 PRP hair restoration helps patients stimulate their hair follicles for naturally thicker, fuller hair. During their consultation, patients can talk to a team member about their concerns and goals to ensure they are good candidates with realistic expectations. As the patient relaxes in one of the treatment rooms, a small amount of blood is drawn from their arm for the PRP serum. As the PRP serum is being prepared, the patient's scalp is numbed with a local anesthetic. Once everything is ready, the PRP serum is injected into several areas of the patient's scalp. The patient is able to leave and resume normal activities as the treatment begins to work. Patients should begin to see results about 3 months after their PRP treatment, but full results are typically visible in about 1 year. Patients should schedule 3 treatments every 6 weeks to see their best results. Patients should talk to their technician about touch-up treatments as well as how to care for their hair and scalp to maintain the results of their PRP treatment. Before looking into hair restoration surgery, schedule a consultation to learn more about nonsurgical PRP hair restoration treatments at Refine Medical Spa in Southlake. Using your own growth factors, we can help you stimulate natural hair growth so you see fuller, thicker hair.